For the first time in its history, MPavilion is calling for event proposals for its public program in 2017. Architecture and design professionals, students and practitioners are invited to contribute to the MPavilion’s series of events running between 3 October 2017 and 4 February 2018. Events include workshops, talks, debates, performers, presentations, installations and interventions. Open to both Australian and international organisations and practitioners, MPavilion’s programming team welcomes proposals that engage with and creatively respond to OMA’s ‘floating roof’ design for MPavilion 2017. 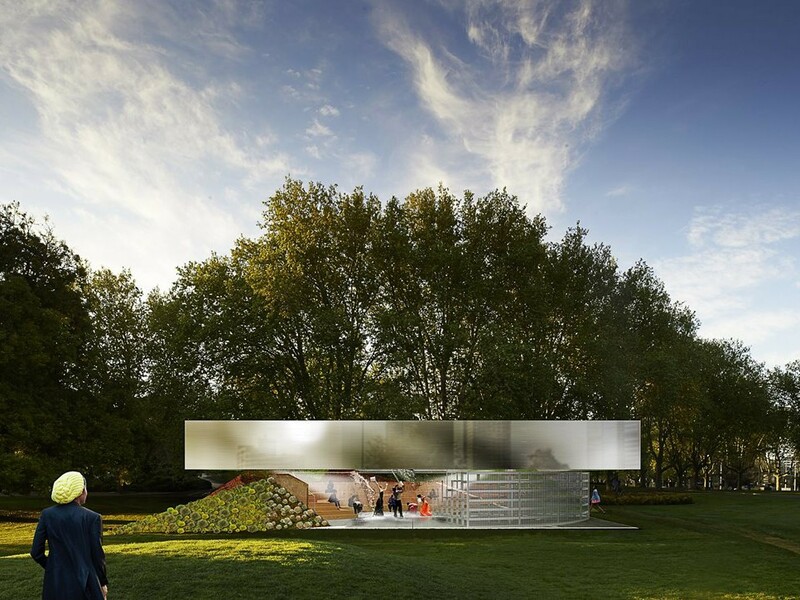 This year, Netherlands-based architects Rem Koolhaas and David Gianotten have created a metallic ‘floating roof’ design for MPavilion, within which sits a circular amphitheatre with both moveable and fixed grandstands. If they are to be successful, event proposals must suit the pavilion both logistically and practically. Last year’s program featured more than 400 public events with more than 300 collaborators, including 32 education and cultural organisations from Melbourne and around the world. Submission deadlines close on 11 July 2017. For more information, click here.